Before starting a new composition, I like to have as a starting point a concept or a main idea that will give a direction to my creativity. I could even say that I like to give myself constraints. For this piece written for Ensemble Paramirabo, I was interested by the number 108, sacred in many eastern cultures. 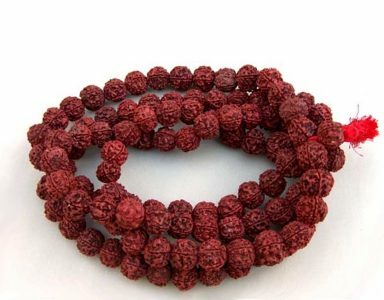 In Tibetan Buddhism, a necklace with 108 beads (mala) is used to count the number of repetitions of a mantra. I used that number at different levels the composing of “Mâlâ”. The length of different sections of the piece as well as its rhythmical content were guided by this sacred number. The themes I wanted to explore and develop music are related to the practice of meditation. Breathing, attention, presence and clarity are the core of the piece. I also wanted to include their antipodes by illustrating the confusion and the moments when one escapes his mind, losing track of time. These moments are also part of the meditation practice and our daily lives! I used a restraint number of harmonic and melodic elements to create the sound universe of “Mâlâ”. It includes repeating motifs, the development of melodic ideas and rhythmic accents that blend to blur the concept of time and space but whose simplicity gives us the possibility to come back to the present. At another level, the performance of this piece by the musicians of the ensemble is similar to a a meditative practice by the need of presence and attention. Perhaps it will be the same for you the audience!